Hemp Babies Little Weeds are made with hemp fleece composed of 55% Hemp, 45% Certified organic cotton, serged with natural thread and seamed to ease folding. 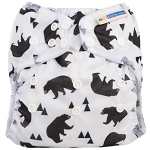 Available in both a small and a large size, these high quality diapers were specifically designed to fit in a small or medium pocket diaper. Two layers of hemp to ensure that your diapers wash clean easily and dry quickly. 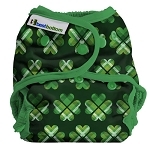 these high quality diapers were specifically designed to be used as an insert in a medium or large pocket diaper. 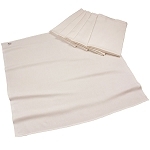 Two layers of hemp to ensure sure that your diaper washes clean easily and dries quickly. 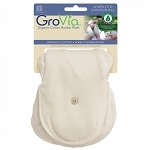 Hemp Babies Bigger Weeds fold in thirds for six thirsty layers of hemp absorbency. 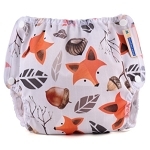 Have a heavy wetter or a tiny baby needing more absorbency at night? 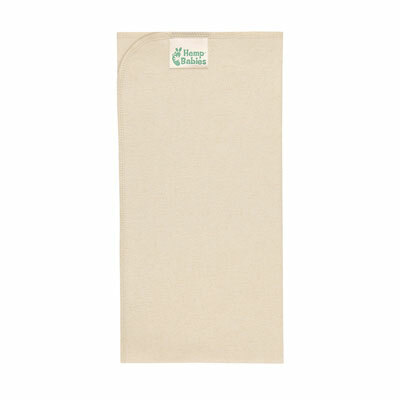 Try wrapping a Cotton Babies Microfiber Insert with a Hemp Babies Little Weeds! Little Weeds work well as an organic, trim-fitting newborn diaper when combined with a diaper cover! Care Pre-wash 3-5 times in hot water with a small amount of detergent, drying between each wash. Product shrinks to size and becomes absorbent during this process. Once pre-washed, insert may be washed and dried with the rest of your diapers. This product will lint during the prewash process. If you've purchased a large number of hemp inserts, be sure to prewash in small loads to avoid clogging the filters in your washer / dryer. 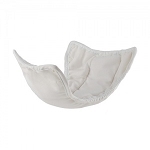 Bigger weeds fold perfectly for a medium pocket (folding as a boy fold like a prefold) and have replaced microfibre inserts for long days in the sling. Very very very absorbent, wash and dry well, great addition to the stash.